Connecticut British Reliability Run | CTRiumph! Due to the success and participation in our first Reliability Run, we are planning on doing it all over again this year!! Presently it is in it’s pre-planning stage, and any updates will be posted here……..
Below is a review of the planning and organization of the 2018 CT British Reliability Run. The CTR and MG club groups worked together for more than six months to prepare for the event, and the success of the project depended on all of their careful planning………. everybody up to welcome them to the Run and go over the day’s drive. We handed out the excellent road book that Jay and Linda had compiled, the goody bags that Susan put together and the smart baseball caps donated by Ed Cooke and Abingdon Spares. When the hour for departure came, our bagpiper John Henken gave our small group a rousing send-off on our trip north. The weather was a bit too British as we set off with a fine drizzle falling, but the forecast was for clearing and by the time we reached our first rest stop the skies were much brighter and the sun was about to put in an appearance. high ground to Sharon. We left Connecticut and entered NY State making our first acquaintance with NY 22 at Millerton. its keep over the years. We followed US route 7 to Bennington and stopped at Hemmings as it was a designated refueling stop. Most of the group browsed the gift shop and I was especially pleased to come away with a picture book describing British light commercial vehicles from 1948 to the early Sixties. no issues, checked in and following happy hour, went in search of food in Glens Falls’ compact but vibrant downtown. The teams assembled in the hotel lobby the next morning for a brief drivers’ meeting before setting off to explore the Adirondack Park. Our route took us along the shores of Lake George and Lake Champlain before we turned inland towards Lake Placid on our way to Whiteface Mt. The ascent up Whiteface Mt wasn’t the worst climb in the world but it was around 4 miles of fairly steep climbs and sharp bends to reach the 4,600′ mark. eventually passed to the other side of the mountain, made the scene even more dramatic. All cars made it safely back to the bottom and we continued our exploration on the western side of the Adirondacks Park through Saranac Lake, Tupper Lake and Long Lake before heading back towards Glenns Falls where food awaited. Sunday morning saw us checking out of the Queensbury, cars once more loaded with about all they could hold to sustain two people over a weekend. Teams compared notes in the car park, many were amazed at how much you can carry in a Spitfire. eventually picking up MA/CT 41 to get to our destination at Lime Rock Park. Lime Rock Park had the gates open for us and lunch was almost ready. We parked the cars in a line in the paddock area and congratulated each other on completing the run with the minimum of drama, ample proof if it were needed that of course British cars are reliable. And then we went to enjoy a well-prepared lunch. It was also time to reflect on what we’d achieved. The real goal of the run was to see how much money we could raise for The Hole In The Wall Gang Camp. The outcome, for a relatively small number of teams, was excellent: Janet Thomson, who was the liaison with the charity, was able to hand over a large cheque for over $9,100. Once some corporate matches are included, the final tally should be over $10,000. We lined our cars up on the straightaway at Lime Rock for a team photo before heading in different directions to home. I think every team had enjoyed the weekend, could take pride in what had been accomplished and will be up for a future challenge. together. 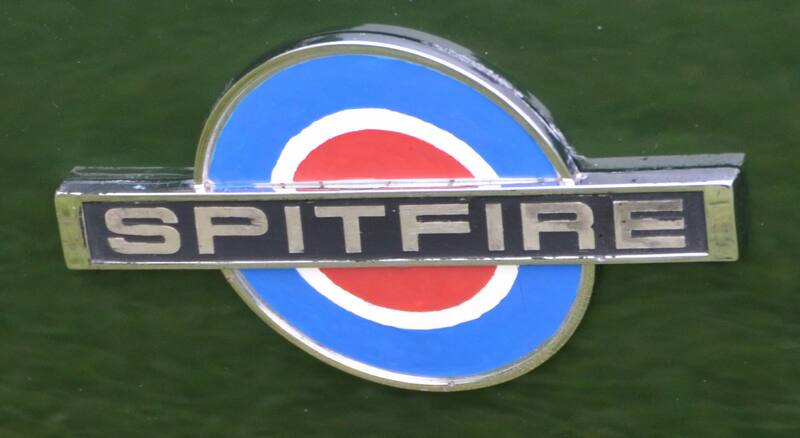 Alex Thomson provided support for the financial transactions and record keeping, and David Semple designed our 2018 CT Britiah Reliability Run logo. Last but by no means least Susan Schiavi worked with the hotel and restaurants so that we had a place to sleep and eat, assembled the goody bags, found us a piper and put together the breakfast at GMT Racing. prize for most money raised, and although we did not need it, Hagerty Insurance for providing roadside assistance coverage, and the British Marque Car Club News. The CT Triumph Register in conjunction with the CT MG Club is pleased to announce its first CT British Reliability Run, September 14-16, 2018. The goal is to field 24 British cars/teams and raise funds to benefit The Hole in the Wall Gang Camp. The event is not a race. The run is conducted on public roads at posted speeds. It is not a road rally either, as there are no checkpoints or time/speed/distance parameters. It is an endurance test of sorts, intended to be challenging but fun for the participants. The event will begin in CT, run through the Adirondacks over the weekend, and will end in CT. It will be a great fall drive through beautiful countryside in the company of fellow British car friends. Please join us ——– Neville Wardle. Reliability Runs were something of a tradition in England that has now been continued by British car clubs on both side of the Atlantic. The C.T.R. in conjunction with the CT MG club is proud to present the first Connecticut British Reliability Run? What is a Reliability Run? This type of driving event has its roots in England. Owners of British cars whose marque had a reputation for poor mechanical reliability would gather and do long continuous drives around England to prove that their cars were indeed reliable. British Reliability Runs continue to this day, benefiting children’s charities in England, then in 2002 Blake Discher of the Detroit Triumph Sportscar Club, founded America’s British Reliability Run (ABRR). He had help and guidance from former Triumph Standard executive and British Reliability run veteran John Macartney. The ABRR spirit is now spreading throughout the USA with multiple regional runs. The ABRR is a challenging and fun driving event that so far has raised more than $215,000 for worthy children’s charities here in the United States. What is the CT British Reliability Run? The CT Triumph Register in conjunction with the CT MG Club is pleased to announce its first CT British Reliability Run September 14-16, 2018. The goal is to field 24 British cars/teams and raise funds to benefit The Hole in the Wall Gang Camp. The event is not a race. The run is conducted on public roads at posted speeds. It is not a road rally either, as there are no checkpoints or time/speed/distance parameters. It is an endurance test of sorts, intended to be challenging but fun for the participants. The event will begin in CT, run through the Adirondacks over the weekend, and will end in Connecticut. It will be a great fall drive through beautiful countryside in the company of fellow British car friends. The route: when planning a route, you do need to know where you are starting from. With the Adirondacks as the destination it made sense to start on the western side of Connecticut to avoid the unpleasantness that is the I-91 corridor and the awkwardness of crossing the Connecticut River. Ed Cooke persuaded J.R. Mitchell at GMT Racing in Newtown, CT to have his premises be the starting point for our trip. From Newtown we will take ordinary two lane roads to make our way north with a lunch stop planned for Williamstown, MA and then on to the Hemmings Museum in Bennington, VT. After visiting the museum we will continue towards the north country and our headquarters in Glens Falls. Saturday will be devoted to a long day’s drive around the Adirondack Park in upstate New York before returning to Connecticut on Sunday morning. We hope to have a surprise visit on the way back to Connecticut and will conclude the event with a cook out. Accommodations: the Reliability Run in the UK is a 48 hour event that covers 2,000 miles with no overnight stops. We are not quite that crazy and will be spending two nights in a hotel. Susan Schiavi (a.k.a. the Navigator) spent a lot of time on the phone with hotels and the Lake George Chamber of Commerce and finally secured us a block of 24 rooms at the Queensbury Hotel in Glens Falls. We’ve visited the hotel and it appears to be a good choice. Next steps: I hope we will have a good participation rate in the Reliability Run. You need a good car and an appetite for driving it on some of the best roads in the Northeastern United States, and above all a passion to help sick children in need! We have created a special website for the CT British Reliability Run at https://www.ctbrr.org/ —— It has everything you need to know, and you can sign up for this great event!